A promotional photo of Celtic Woman. 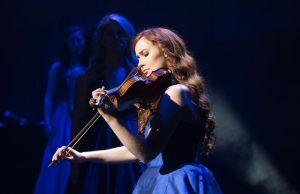 The Celtic Woman Voices of Angels show at the Orpheum Theatre had several shining moments but, overall, proved to be a disappointing performance. Overall, the performance would have been a much more memorable Celtic experience if there was less orchestration, more emphasis on the voices, and if the sets remained basked in multi-color lighting. 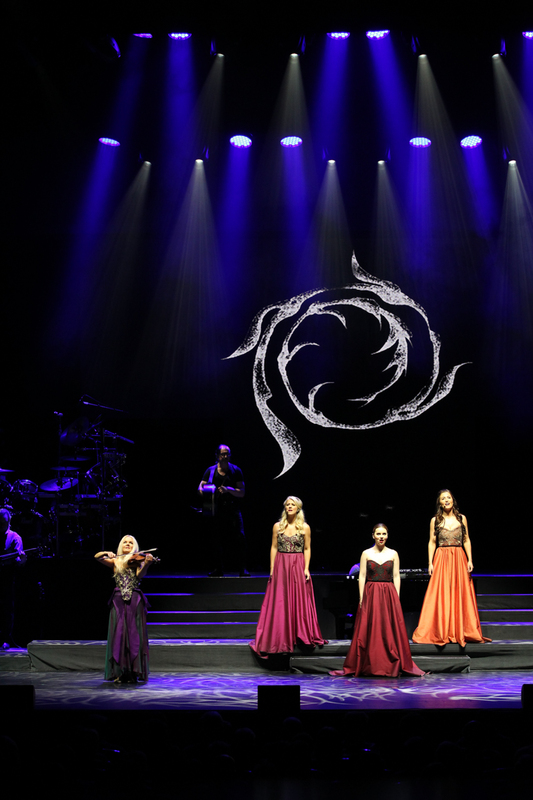 If you’re not familiar with the group, the Celtic Woman phenomenon was created in 2005. The group has produced eleven albums, sold more than 10 million records and has performed before over four million fans over the past twelve years. Violinist Tara McNeill. Photo courtesy of Celtic Woman. Currently, Celtic Woman consists of three very talented singers, Susan McFadden, Mairéad Carlin, and Éabha McMahon. The fourth and newest member or the groups is Celtic violinist Tara McNeill. McNeill’s performance was the highlight of the program, with her skilled violin playing, flowing energetic dancing and enthusiastic smile. Whenever she took the stage, all eyes were on her, as when she did a soulful version of “For the Love of a Princess” from the movie Braveheart. A classic performance arrangement onstage. The final number “Walk Beside Me” was the best group singing effort. McFadden, Carlin and McMahon all have beautiful voices and each was showcased in various solos. McMahon’s beautiful rendition of the traditional Irish singing of “Sean Nos Song” probably came the closest to transporting the audience to Ireland. The group also sang other Celtic favorites such as “Amazing Grace” and “Danny Boy.” These traditional songs opened strong with melodic acoustical music and beautiful singing, but – half-way through – overlays of prerecording orchestrations dampened the singer’s voices and gave the music a muzak feel. The singers’ movement work often appeared rehearsed (as opposed to naturally flowing) and stilted, with only McNeill and her violin flowing freely across the stage. The show’s lighting was also a drawback. The beginning of each song had a bountiful mixture of colorful lights, giving the stage a feeling of a painted canvas. However, the white spotlights quickly came to dominate each song in the show’s first half, with Celtic travelogue video scenery in the background. The initial lighting was far more interesting.